We once again searched the globe to find additional sources of high-quality ammunition. This new round, manufactured by MFS 2000 in Hungary, meets all our requirements for quality, reliability and value. These new-manufacture handgun rounds come loaded with 115-grain FMJ bullets, and are boxer-primed with reloadable brass to meet C.I.P. standards. Don't pass up this great value on quality ammunition that's ideal for high-volume shooting. Per 50. I'd been buying 1000 rds. of steel jacket for $105.00 a few years back. I wonder how much some bulk .223 rounds would cost, especially with the free shipping? Mines going for a good price. You guys have .223 and 7.62 for hand guns? I can almost guarantee the gun you have and those are not handguns. Save money on quality .223 rounds and get a free dry-storage box with every bulk purchase. These 55-grain rounds are great for hunters and riflemen who demand reliable ammo at an affordable price. Get the ballistic performance and the down-range accuracy you crave from the unique rear-tapered boat-tail bullet. Lead core is surrounded by a full metal jacket. This precision-made ammo is perfect for high-volume target shooting. A production overrun by a legendary ammunition manufacturer offers us a one-of-a-kind opportunity to provide you the same 5.56x45 ammunition that?s standard issue for the United States military. Manufactured by Lake City arsenal, this noncorrosive, steel-core FMJ ammunition comes on 10-round stripper clips packaged in 30-round fast-load cardboard boxes (420 rounds total). An included stripper-clip guide makes loading standard AR-15 magazines fast and nearly effortless. It?s all packaged in a brand-new, watertight, gasket-sealed .30-cal. ammunition can (10"L x 3"W x 6-7/8"H), a $19.99 value. Looks to me like 420 rds. for $149. We scoured the world looking for the perfect combination of quality ammo at low prices ? and found it! 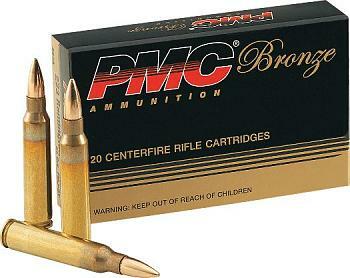 This great-shooting ammo is Russian-made by a firm with over 125 years of experience. Sure-cycling polymer-coated steel cases. Noncorrosive. 122-grain FMJ bullets. 20 rounds per box. Imported. SKS or AK were the only options after the M15. If they owned assault rifles. Right, I clean forgot those "handguns" stuffed down their pants. Any chance the forum software is having an off day? My notifications for last evening are just coming in now.